Meet the sensuous Swiss video artist Pipilotti Rist, whose work full of colour and playfulness. She here argues that videos can have painterly qualities and tells the story of one of her most famous videos, where a woman smashes car windows with a flower. Elisabeth Charlotte “Pipilotti” Rist (b. 1962) is a Swiss visual artist, who works with video, film and moving images, which are often displayed as projections. She takes her name from Pippi Longstockings, heroine of Swedish author Astrid Lindgren’s much-loved series of children’s books. Early on in her career she began making super 8 films, which generally last only a few minutes and contain alterations in their colours, speed and sound. Among the themes her work centres on are gender, sexuality and the human body. In 1996 her work was first featured in the Venice Biennial, where she was awarded the ‘Premio 2000 Prize’. Other awards include the ‘Wolfgang Hahn Prize’ (1999), the ‘Joan Miró Prize’ (2009) and the ‘Cutting the Edge Award’ at the 27th Annual Miami International Film Festival (2010). Rist’s works are a part of prominent museums worldwide such as MoMA in New York City and Tate Modern in London. Pipilotti Rist was interviewed by Christian Lund at the Hayward Gallery in London, November 2011. A cascade of voices belonging to people who have been declared physically dead, but lived to tell the story, comes together in a ghostlike installation of 104 screens. Experience the intriguing art installation by the influential American artist Susan Hiller. ‘Channels’, the installation artwork Hiller discusses, centres on death and near-death experiences. The 104 television screens, which the artwork consists of, are programmed with visuals in shades of blue – echoing the “screen of death” in computer terms and the “stand-by screen” in TV-terms – and a myriad of voices belonging to people who have had near-death experiences. The result is fascinating and somewhat uncanny. Hiller is interested in investigating certain occurrences, such as near-death experiences, which have become subject to ridicule and even embarrassment: “The point is that the stories are there, and it’s worth looking into them.” The incidents furthermore seem to contradict the common belief that the brain is a source of consciousness or reality. Susan Hiller was interviewed by Kasper Bech Dyg in connection with her exhibition ‘Channels’ at Den Frie Centre of Contemporary Art in Copenhagen, February 2015. Interview with the American artist Julie Mehretu about how her perspective is the result of a ”very important shift” in her life which occurred when her family moved to the US from Ethiopia. 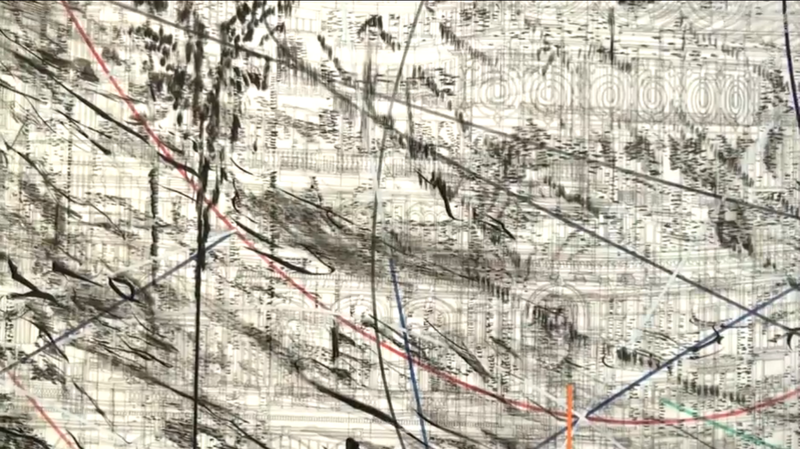 Mehretu fuses forms in order to create an ‘in-between place’. Julie Mehretu is known for her densely-layered abstract paintings and prints. Her paintings are built up through layers of acrylic paint on canvas, overlaid with mark-making using pencil, pen, ink and thick streams of paint. Her canvases overlay different architectural features. 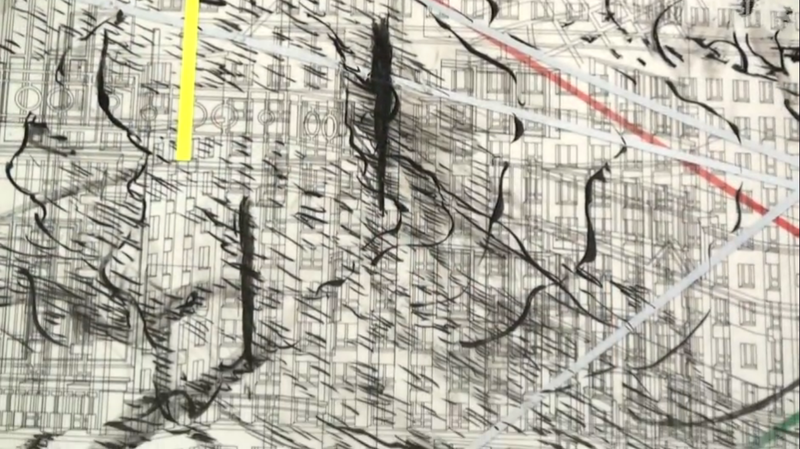 Julie Mehretu was interviewed by Jesper Bundgaard at Marian Goodman Gallery, New York 2013. Copyright: Louisiana Channel, Louisiana Museum of Modern Art, 2013.